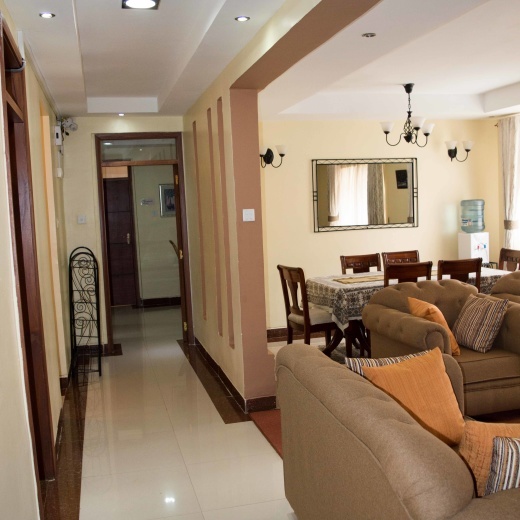 It is a 172 sqm property with a magnificent finish to international 5-star standard. 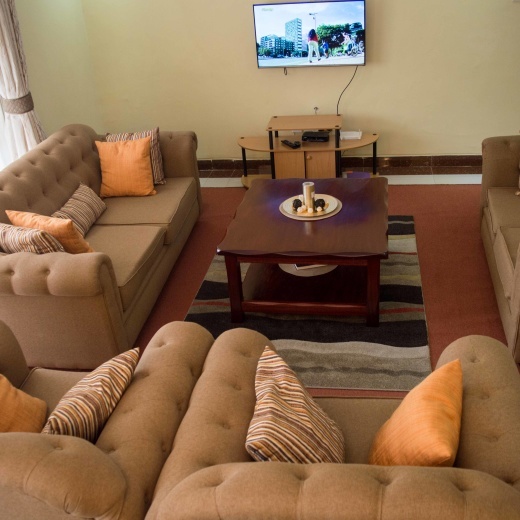 The design features 3 spacious bedrooms master ensuite, a spacious lounge with DSTV cable TV, a 6seater dining, a fully equipped kitchen with a cooker, utensils and pots. A washing machine is provided for laundry. The unit comes with a working desk complete with an office chair, a desk filing shelves and Super-fast private WIFI internet. A swimming pool and gym are on the property. Parking is free for two cars. 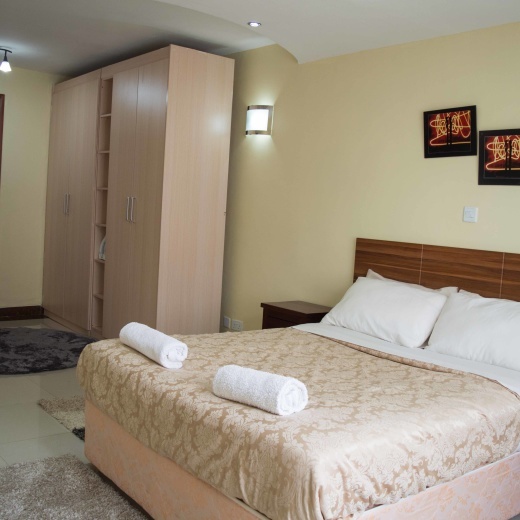 Provisions include housekeeping services, 24-hour security backed with CCTV surveillance. A One Bellcrest is a great choice and guests who want a quiet homely place for a long stay as they work on projects have the place they need. A-One is located at Bellcrest along the leafy-green Githunguri Road in a cul-de-sac with reliable taxis and public transport. 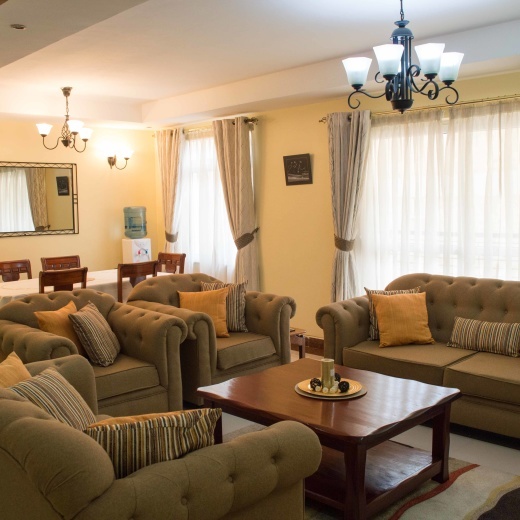 The secure address is close to top-tier banks like CBA, Barclays, the JAva house and other restaurants and supermarkets at Kasuku and Yaya Centre, Westlands and Lavington malls, with Gertrude children's hospital, Kileleshwà Police Station and the Arboretum to complete the dance of Nature and the city.